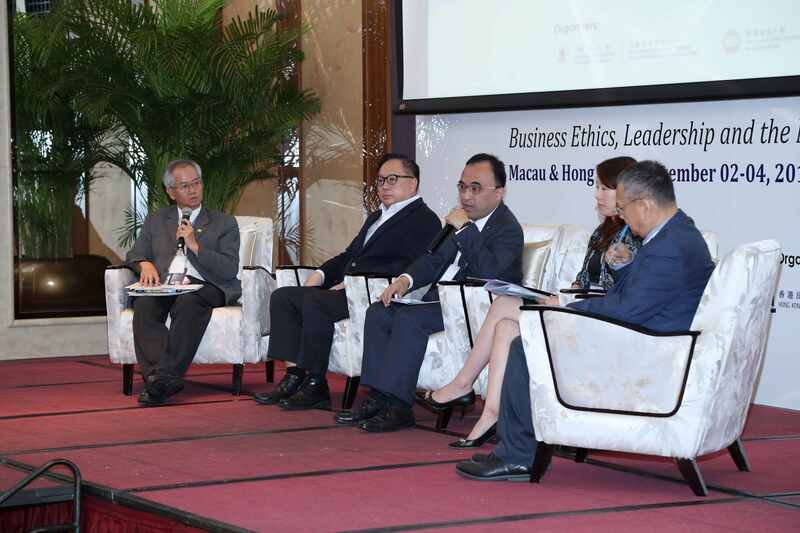 The 7th edition of World Business Ethics Forum (WBEF), co-founded by the HKBU School of Business and the Faculty of Business Administration of the University of Macau, was held on 2-4 December in Macau and Hong Kong, with Hang Seng University of Hong Kong hosting the latter sections. Themed “Business Ethics, Leadership and the New Economy”, the 7th WBEF attracted scholars and practitioners from across the globe to share insights in ethical and sustainable businesses. This year, around 100 delegates engaged with more than 30 academic paper presentations. Two of the three Best Paper Awards were received by Dr. Ludwig Chang and Dr. Weiqiang Tan, Assistant Professors of the Department of Finance and Decision Sciences, for their outstanding papers on corporate social responsibility and business ethics issues in corporate finance. 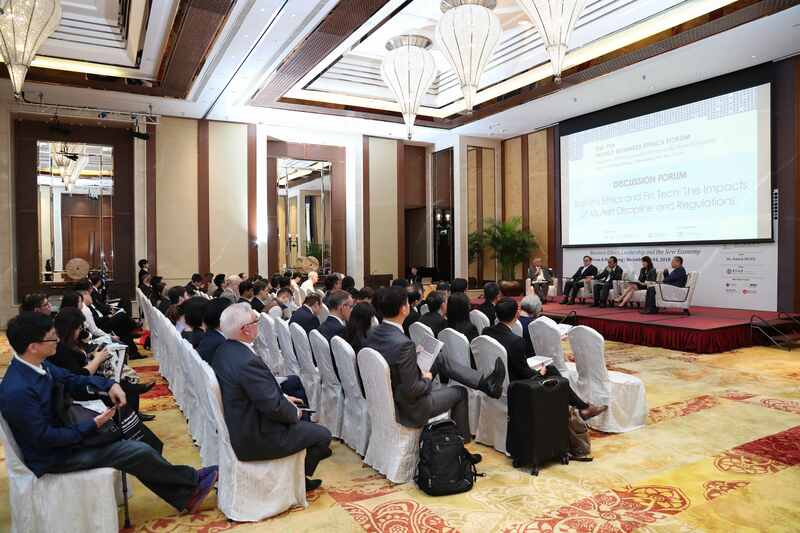 The WBEF was co-founded by the two business schools of HKBU and University of Macau and has been running since 2006 every two years on a rotational basis. 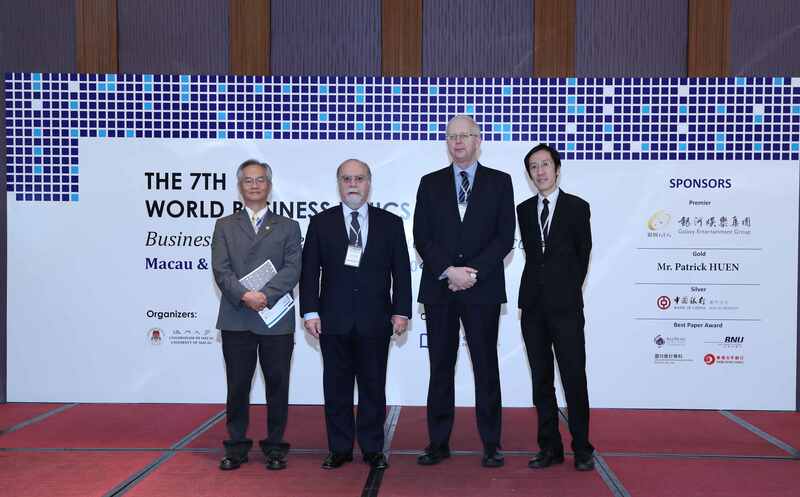 Chaired by Prof. Jacky Yuk-Chow So, Dean of the Faculty of Business Administration and BNY Chair Professor of Finance of the University of Macau, the 2018 WBEF was sponsored and supported by Galaxy Entertainment Group, Mr. Patrick Huen, Bank of China Macau Branch, as well as Asia-Pacific Academy of Economics and Management, Banco Nacional Ultramarino, Leng Kuan Accounting Learning Centre and OCBC Wing Hang Bank.